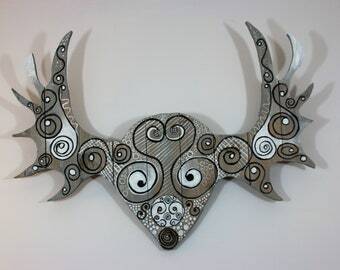 Reindeer/trophy/stylized/wood/decorative wall head / painted decoration. 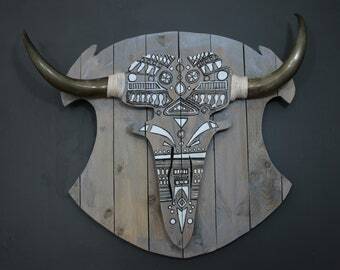 Head of bull in wood/wall/home outdoor Decoration. Decorative wall trophy head of bull in recycled wood painted/pink. Macrame wall / hanging plants/decorative wall/Boho/Decor Bohemian chic.